Air racing had its ups and downs, but by 1967 it was firmly established as a sport here to stay. 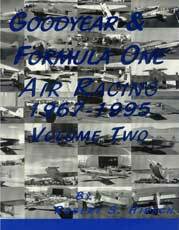 Goodyear & Formula One Air Racing books (Vol. 1 & Vol. 2) track technological developments which allowed faster speeds and greater safety. During this time, women pilots entered pylon racing, speeds continued to increase and concerns about saftey led to additional equipment requirements. Bill Falck, Ray Cote, Jim Miller, Jon Sharp and others contributed so much to air racing's popularity, and Air Racing began to flourish in Europe. Reno became the center for air racing in the United States, although the sport's popularity led to more regional competitions.